Senior Jungian analyst Sheldon Culver will be in Rogers giving two presentations on Jung and The Red Book on October 29 and 30, 2010. See our Events page for more information. 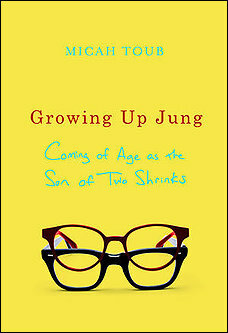 “What could Carl Jung and an American boy raised in Denver, CO possibly have in common?” Author Micah Toub, the son of two Jungian-trained therapists has written a new memoir, Growing Up Jung: Coming of Age as the Son of Two Shrinks. Read an interview with the author in Smith Magazine. The memoir opens with the author’s father asking him, “Did you have a dream last night?” It seems to me like a great luxury to have free dream analysis on the spot every morning—but probably it’s true that nothing is ever free! For a startling headline, check out Micah’s site. For those of you interested in astrology as well as Jungian thought, you might check out the blog Carl Jung’s Red Book by astrologist and counselor Elizabeth Spring. It’s not been recently updated but from here you can click through to another of her blogs, Private Papers of a Reluctant Astrologer. In the latest post on the Red Book blog, she talks about what the planets were doing at the time Jung was writing the Red Book.